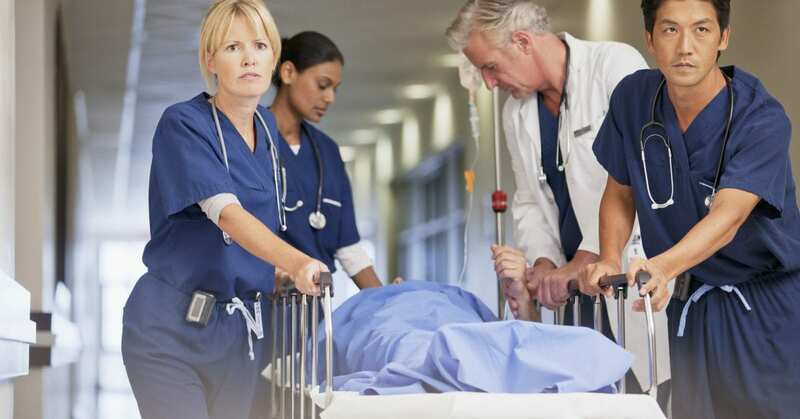 Emergency and Disaster Nursing Courses – You cannot avoid the future unwanted events but you can contribute by taking the emergency and disaster nursing training courses. The emergency cases can either be natural, accidental, or due to human activities. The scope of such quality nursing courses is very much high. And if you want to get the emergency and disaster nursing training courses in Mohali, Mata Sahib Kaur College of Nursing is rendering the best one for you. Nursing profession requires a quality set of skills and courage too. Especially when you are indulging yourself for the betterment of health and life of people during emergency and disaster situations, you need to be strong enough to face and handle the situations. In addition to offering you a successful nursing career, it will also enable you to contribute a lot to humanity. Because you will be saving many lives. So even if you are thinking of making a career in this field, you are making the right choice in both the ways i.e., personal and professional. And if you are choosing the best nursing college to pursue your nursing course in Punjab, the job opportunities will be much fruitful. Mata Sahib Kaur College of Nursing is one of the top nursing institutes in Mohali which is offering such valuable and necessary nursing courses. Before you take admission in any vocational course, go through all of its future aspects. Similarly, you must go through the emergency and disaster nursing courses scope, jobs, demand, salary, and fee structure. Because these all are necessary to consider first beforehand to have a successful career. There is a lot to learn in this course and a lot to implement. So try to make a wise selection of the best nursing college for emergency and disaster nursing courses in Mohali. The scope includes both work opportunities and future growth. The demand for skilled and registered nurses is there to handle emergency situations. Consequently, end number of disaster nursing jobs are there globally. Some major emergency nursing career opportunities will include the following options. There are some more areas where you can start your career with or try your hand in to. But a strong foundation will only be the one to give you the desired results. By foundation we mean the right choice of knowledge source to take admission into the emergency and disaster nursing courses in Chandigarh. Every job will expect some dedication and passion from you to stay longer and grow easily. The nursing profession is the most respectful job with a huge demand worldwide. And when you are planning for nursing training courses, a serious commitment is required on your part to learn on all the knowledge and skills. Because if you will perform your responsibilities better, enjoyment of emergencynurse salary will be more. Quality emergency and disaster preparedness courses will make you more competent to handle the situations more efficiently and intelligently. This job is not for weak hearted persons. Because you will have to work in life-threatening situations too and may face the worst and disastrous situations. The roles and responsibilities of a nurse in emergency situations will contain the following points. Assessing and observing the patient. First aid to the injuries. Little stabilization to the serious situation. Ability to handle emergency situations in case of environmental disaster. Knowledge of pediatric and psychiatric emergencies. The roles of nurse for disaster preparedness are somewhat the same to the aforementioned. We will add some more things of importance to them to perform your tasks more efficiently. Scroll down to know them. Ability to define a big casualty. Cooperation with local response system. Knowledge of health treatment plans. Skills to handle nuclear and chemical disaster situations. Handle the situation acute or critical situations calmly. The current environment and human activities are inducing a lot of undesired situations and leading to the mishappenings. You can see these situations in terms of disaster conditions. At both of these situations, health and life of people are at risk. Consequently creating a huge demand for healthcare professionals and emergency and disaster handling nurses. Therefore, making this field your dream career will not disappoint you. Choosing the best nursing institute for emergency and disaster nursing courses will be icing on the cake. And Mata Sahib Kaur College of Nursing can add that icing to your cake of career. We are ranking as India’s leading nursing college just because of the quality and valuable nursing knowledge and training we are providing. To know on the qualities of us for taking admission in best emergency and disaster nursing courses in Mohali, you need to scroll down. Highly experienced and skilled staff. Imparting the best knowledge and training to handle all situations. Optimum emergency nursing course fees. Maximum practical knowledge and training. Internships opportunities with the top hospitals. So we feel that all these qualities must be enough to convince you to choose Mata Sahib Kaur College of Nursing for best emergency and disaster nursing training courses in Mohali. And this nursing career course is best suitable for the ones who courageous, strong hearted, travelling lover, and most importantly an active social being. Therefore, get your preparedness certifications with abundant knowledge, training, and skills.